Since 2012, Athena Leadership has proudly awarded the Leader of Tomorrow scholarship to one outstanding young woman in the Manitoba community. The scholarship exists to provide educational opportunity, and is heavily focused on recognizing and supporting young women who demonstrate leadership ability, more so than academic standing. With many deserving young leaders in need of assistance, Athena Leadership established the Leader of Tomorrow Fund in 2013 (proudly held and managed through The Winnipeg Foundation) which it has since awarded it annually. Athena Leadership extends appreciation to all candidates who apply for the scholarship, and recognizes the tremendous and exemplary leadership potential in our community. We are proud of these amazing young leaders who embody our values of empowerment, integrity, and philanthropy every day. Must be a Canadian citizen or accredited visiting student. Inquiries can be sent to scholarship (at) athenaleadership.ca. Applications are due once annually, and individuals can apply by completing the application and submitting to scholarship (at) athenaleadership.ca. Applications are currently open and must be received no later than 11:59 p.m. on March 3, 2019. Please watch Athena’s social media (Facebook and Instagram) or sign up for our e-newsletter to be notified when applications will be accepted. The Athena Leader of Tomorrow Award is awarded annually to a young woman who exemplifies Athena values of empowerment, integrity, and philanthropy, as well as the characteristics of Greek goddess Athena (wisdom, strategy, and heroism). The recipient will have a proven track record in making a difference in other people’s lives through exceptional community involvement, demonstrable leadership, and a strong commitment to her own professional development and career path. 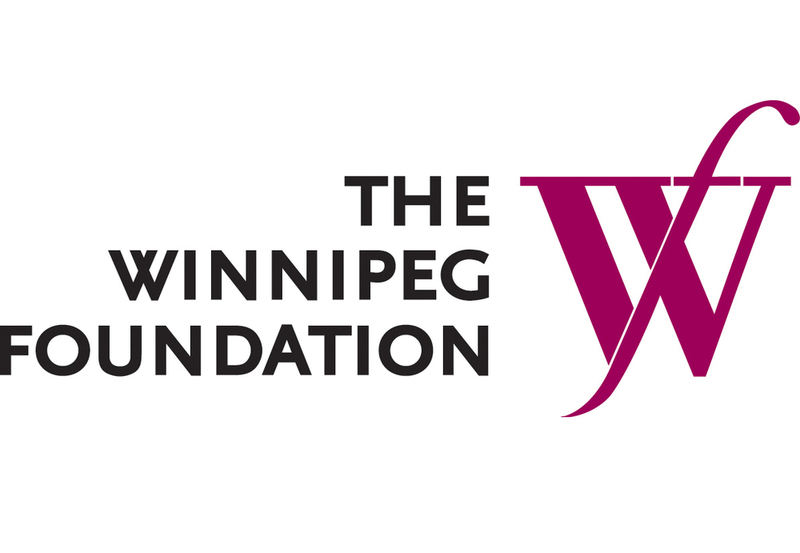 Tax-deductible donations to the Athena Leader of Tomorrow Fund can be done online through the Winnipeg Foundation. For more information on supporting or sponsoring Athena Leadership, please contact us at info (at) athenaleadership.ca. Athena Leadership was honoured to present the 2017/2018 Leader of Tomorrow Scholarship to an outstanding young leader, trailblazer, and survivor: Kailee Rutherford. Kailee Rutherford is a 4th year undergraduate student at the University of Manitoba, pursuing a Bachelor of Science in Genetics with her sights set on a Medical Degree. She has been an Honors Project Student, working in the laboratory of Dr. Geoffery Hicks, assisting with his Cancer Research studies at the U of M. As if that didn’t keep her busy enough, she has additionally held the positions of Student Ambassador and Full Time Residence Advisor for Student Life, during her studies. Kailee will be entering her final year of her undergrad this September, and is currently studying for her MCAT – as she will begin applying for medical schools this fall. Kailee’s ultimate goal is to become a pediatric oncologist specializing in sarcoma, at CancerCare here in Winnipeg. This career path is one close to Kailee’s heart -- as she herself was a pediatric oncology patient. At the age of sixteen, Kailee was diagnostic with osteosarcoma. Kailee did not back down, taking her treatments in stride – staying resilient and positive. Following her last chemotherapy treatment nearly 5 years ago, Kailee now dedicates her time to the cancer community - volunteering as a ward visitor at the Children’s Hospital, speaking about her personal battle at various CancerCare events throughout the year, and holds the role of a Terry Fox Ambassador and Event Organizer. As a former pediatric oncology patient, Kailee believes she can provide an invaluable perspective in care that not all physicians can offer. This summer, Kailee is continuing her passion and expanding her knowledge by working in the laboratory of Dr. Kirk McManus at CancerCare, exploring therapeutic approaches for colorectal cancer. Congratulations Kailee! Athena Leadership is thrilled and honoured to present Yael Hagheray with the 2016/2017 Leader of Tomorrow Scholarship. Originally from Eretria, Yael emigrated with her family to Canada via Saudi Arabia in 2001. Since then, she has remained passionate about helping other families experiencing similar situations. She volunteers with Syrian Refugee Aid to ensure families fleeing dangerous situations feel safe, loved and comfortable in their new homes, just as she did upon coming to Canada. After her cousin was tragically killed by an impaired driver in 2010, Yael then devoted her time to the creation of Students Against Impaired Driving (S.A.I.D). Today Yael still serves as President of this nonprofit, which raises awareness of the dangers of drunk driving, awards a scholarship in her cousin’s honour, and organizes fundraisers to support organizations such as M.A.D.D. Yael is a strong community advocate and most recently, was accepted into Law School where she is hoping to pursue a career in Immigration Law. Yael has used the experiences of her life – both positive and negative – to shape her passions and create opportunities for herself and others. She is truly the definition of a “Leader of Tomorrow”. Athena Leadership members, Leader of Tomorrow scholarship candidates, and 2015/2016 scholarship recipient Jesslyn Janssen (centre) gathered for the presentation of the Leader of Tomorrow Scholarship on November 4 at Pitblado Law offices in Winnipeg, Manitoba. Athena Leadership Director of Funding Kayla Dickin with 2015/2016 Leader of Tomorrow Scholarship Recipient Jesslyn Janssen. Athena Leadership was deeply honoured to present the 2015/2016 Leader of Tomorrow Scholarship to an outstanding young leader, visionary, and game changer: Jesslyn Janssen. After losing her father to cancer at the age of 9, and subsequently losing her grandfather to Alzheimer's disease, Jesslyn became driven to never take health for granted. In January 2015, while watching a documentary about the Alzheimer's process, she learned the most common detection method for the complex disease was a 30-point questionnaire. Fuelled by the belief a better solution existed, Janssen immediately took action in self-learning the neuroscience behind the disease, and spent her summer self-funding tireless research in the St. Boniface Hospital Research Centre in Winnipeg, Manitoba (overseen by professor Dr. Zahra Moussavi, and scientists Prof. Brian Lithgow and Dr. Benedict Albensi). Her efforts resulted in developing a biosensor that detects when a protein in the bloodstream is over-expressed in Alzheimer's disease, effectively detecting the early onset of Alzheimer's disease using nanotechnology (microdiagnostics). As if pioneering a breakthrough in medicine wasn't enough, Janssen's invention costs less than 10 cents, takes 15 minutes to run, is non-invasive (only needing a drop of blood from the finger), and can also be applied to cancer, ebola, and other infectious diseases. She accomplished this remarkable discovery over one summer while also balancing work, volunteer commitments in the research lab, and studies at the University of Manitoba - aimed at an honours degree in biotechnology or PhD in biomedical engineering or neuroscience. She hopes by detecting early-onset diseases, that she can prevent the loss of loved ones too soon, and can empower the less fortunate with accessible healthcare. Jesslyn Janssen is only 19 years old. She is positioned to change lives not just in Manitoba, and not just in Canada, but across the globe. Her integrity is inspirational, her tenacity is exceptional, and her humility, vision, and passion are what will change the world. She is truly a Leader of Tomorrow, and we are so proud and honoured to support her journey. Special thank you to our 2015/2016 guest judges Kal Barteski, Autumn Fata, Sarah Appelt, and Tracy Bowman. Upon presenting Jesslyn the award, Athena member Danielle Tkachyk, Owner of PMC Insurance and Mokada Jewelry, matched the scholarship on the spot, effectively doubling her funding.